Our church's worship ministry includes a choir, a worship team made up of singers and instrumentalists, and an audio-visional team. As these teams work together, they help lead the congregation in a variety of songs and hymns as we worship. 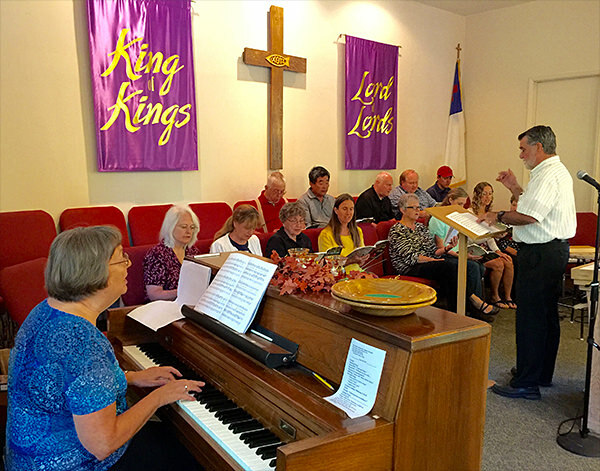 The Big Trees Church choir practices together. Choir: Several times a year our choir performs during our worship services. In addition, it sings a special holiday cantata to celebrate Christmas and Easter. If you like to sing, you'll enjoy being a part of our choir! Please contact to discuss your interest in joining our choir. play and sing a praise song. 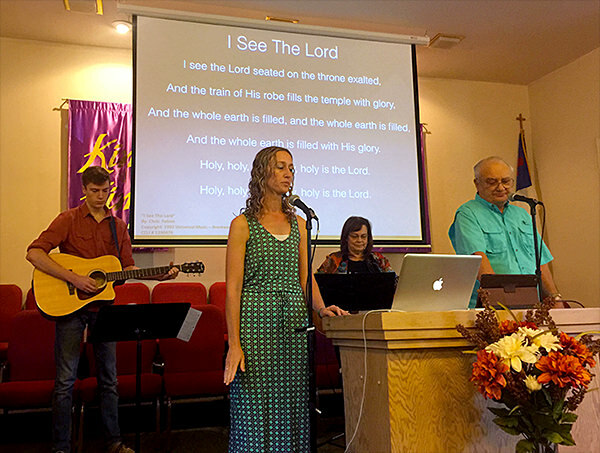 Worship Team: Each Sunday the worship team leads our congregation in songs of praise and worship. There are opportunities for both singers and instrumentalists to join our worship team. Please contact to discuss your interest in joining the worship team. Audio-Visual Team: Team members work behind the scenes to make sure that the sound, lighting, and projection enhance the music and the message. They also record worship services on CDs and produce videos on our website for people who are out of town. 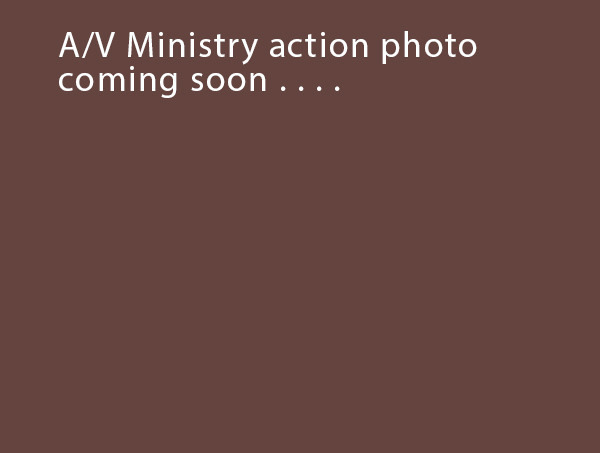 Please contact to discuss your interest in joining our A/V ministry. View our popular Christmas Cantata. Click to enjoy the video.